It’s been just over a year since Microsoft had sort of silently surprised the world with the release of its first fitness band, the Microsoft Band. I got it on Day 1 of its release, and over the last year saw it improved with software updates that included Strava connectivity, a bicycling app, and automatic sleep detection. Those additions addressed virtually all my quibbles on the software front. It was a device that I was delighted with, one that packed a whopping 10 sensors and allowed me to sell all the Garmin tracking devices that I have long had a like-hate relationship with particularly because it has built-in GPS that does not require carrying around a phone. But a year is kind of a long time in the tech world—especially for mobile devices—so when images and information were leaked about the second generation Microsoft Band, I promptly sold my first generation Microsoft Band on eBay before its resale value plunged into the ground like Wile E. Coyote. Although I was not able to purchase the Microsoft Band 2 on October 30, Day 1 of its availability, I was able to able to obtain one on Day 5 at the Microsoft Store in St. Louis. Now that I have used it for a whole week I can share some impressions of it, particularly in comparison with the first Microsoft Band. The Microsoft Band 2 is very attractive. While the first generation looked high quality, it had an understated, industrial design with straight edges along the screen and two battery compartments under the rubber straps. In contrast, the new Band 2 is much sleeker with a curved display that melds into far more flexible straps. Also, the edges of the screen and the clasp are made of stainless steel which adds some bling, much like a shiny buckle on a fashionable belt. There are no silkscreen decals or logos; only the simple four-pane window Microsoft logo molded into the rubber near the clasp. 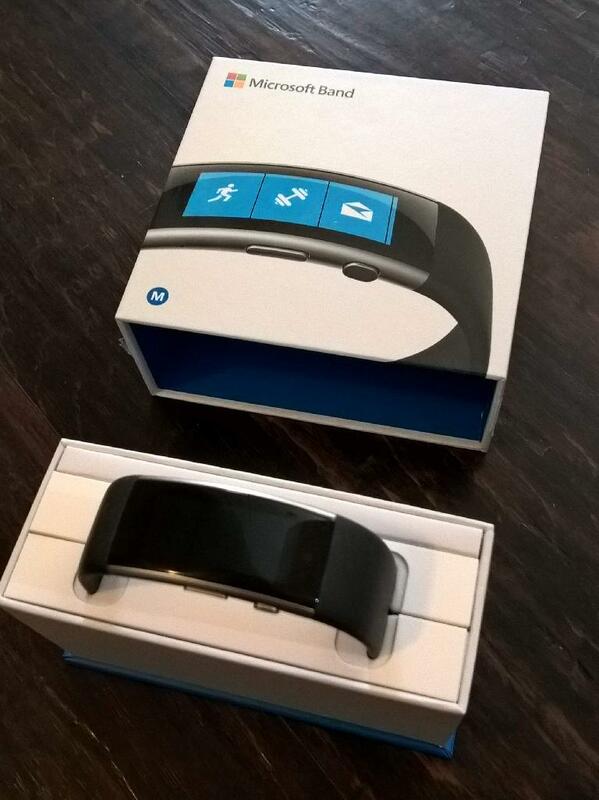 In my opinion the Microsoft Band is the best looking fitness band/smartwatch on the market so far. The Band 2 has Gorilla Glass 3 whereas the original Band had easily scratchable glass that necessitated a screen protector. Not needing a plastic screen cover improves the aesthetic and swiping feel immensely. I have yet to scratch the Gorilla Glass and considering the number of YouTube videos showing how Gorilla Glass cannot be scratched with knives or keys, I don’t expect it to as long as I do not go rock climbing wearing it. Battery life seems significantly improved. 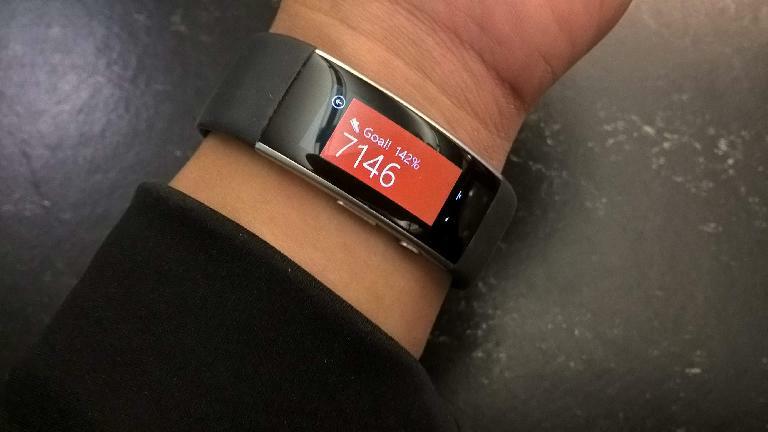 Microsoft actually claims two days of battery life for both generations of the Microsoft Band. But with the Band 2, I always have more than 50% charge left after one day, so I believe that Microsoft is being conservative. Some users have said they have managed to get three or almost four days of use on one charge and up to 5.5 hours while running with GPS. Battery life seems good enough that my daily ritual of charging the Band 2 during my morning shower has kept it charged up enough that I have not even come close to depleting the battery yet. Both the Band 1 & 2 need only 20-30 minutes of charging to reach 80% battery capacity, although it may take up to two hours to reach 100%. One reason for the improved battery life might be because the Band 2 gives the option to show the time when you rotate your wrist upwards (this works very well). This presumably conserves battery over having Watch Mode on all the time, which was how I and probably most other users had set the original Band. (Watch Mode set to always on resulted in 1.5 days of battery life for my original Band.) It also has the benefit of not emitting a distracting glow when you are not looking at it in the dark. The charging port has been relocated. Before it was underneath the display side. I never had a problem with that, but other people said it caused skin irritation and dirt got into the charging port. Microsoft ingeniously solved this problem by locating the charging port on the Band 2 underneath the upper clasp! 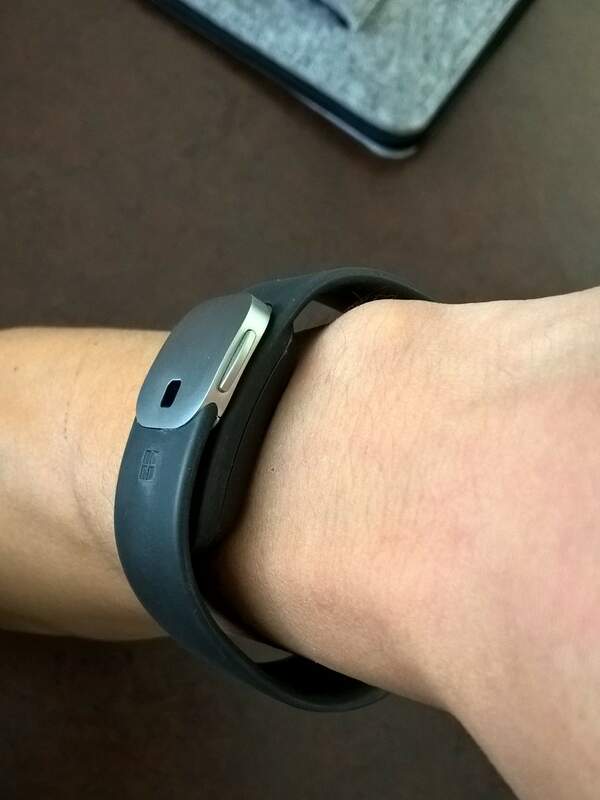 So when you are wearing the Band 2, the charging port never touches your skin. There’s a new barometer, which enables the Band to record altitude changes and number of flights of stairs climbed. So now there are a total of 11 sensors: optical heart rate monitor, accelerometer, gyrometer, GPS, microphone, ambient light sensor, multiple galvanic skin response sensors (to determine if you are wearing the band), UV sensor, and barometer. The Microsoft Band 2 has a new smart alarm that can wake you up at an optimal time, up to 30 minutes before your preset time, as determined by its sensors and algorithms. In theory you will wake up more refreshed despite laying in bed for a shorter amount of time. I have yet to use this feature enough to judge how well this works but will update this section after I have spent more time using it. The screen is taller and more vibrant. Also, the user interface looks more modern and refined. The Microsoft Band 2 sizes are a little larger. For the first generation, my wrist was squarely within the medium size; for the Band 2, either the medium (with clasp tightened almost all the way) or the small (with the clasp loosed almost all the way) would have worked. I went with the medium size because it looks better with the lower clasp entirely obscured by the upper clasp. I have read that the optical heart rate monitor on the Band 2 is slightly more accurate and that GPS locks in shorter time. 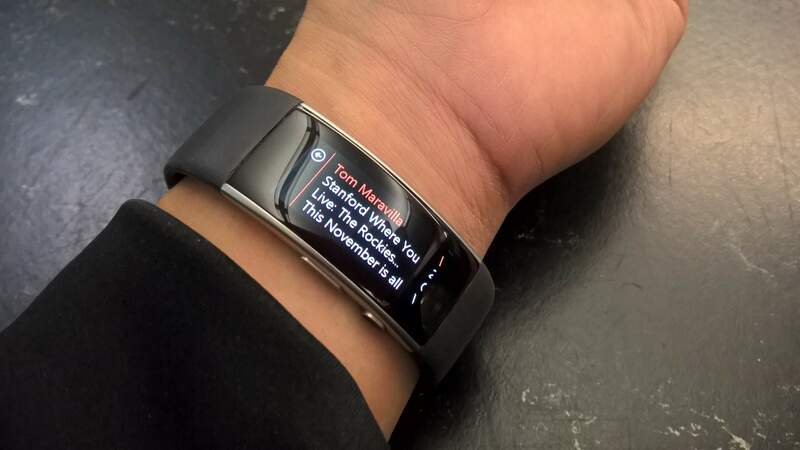 But they already seemed good to me on the original Microsoft Band and I cannot honestly tell a difference. For the second generation of their fitness band, Microsoft hiked up the price by $50 (to $249) but I believe the above improvements totally justify it. 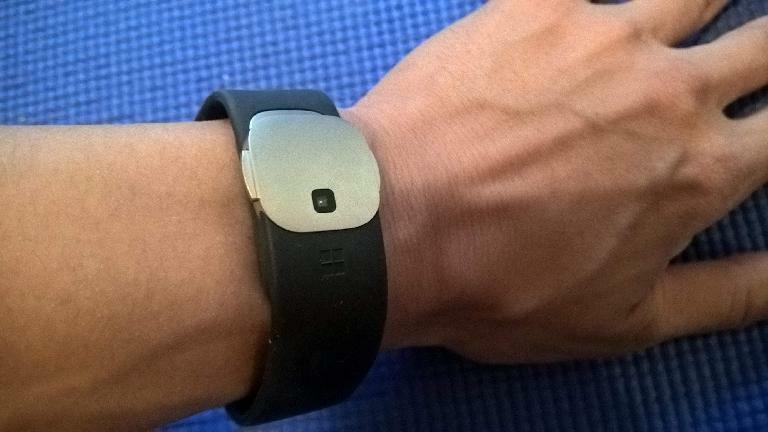 Other reviewers quibbled about things like the Microsoft Band 2 is not waterproof enough to swim or shower with it, that it does not look like a $10,000 Omega watch, and that it does not run Windows 10. Or the Microsoft Health app lacks social features that, say, Fitbit has (not really valid criticism since it can automatically upload your activities to social platforms such as MyFitnessPal and Strava). But for me, the device is virtually perfect. If I had to nitpick, of course I would not mind if the battery life was even longer and that the lower clasp (housing the battery) was a little thinner. Also, of course I would not have minded a lower price when I bought it, but I think when compared to the competition it was very reasonable. That said, if price is a deterrent, I would recommend picking up the original Microsoft Band on eBay. Now that the Microsoft Band 2 is out, the first generation is going for blowout prices like $70-110 at the time of this writing. That is the same price as an old-school Timex but has 10 sensors for recording fitness and sleep activity along with smartphone (Windows Phone, iOS, and Android) and automatic first- and third-party (e.g., Strava, MyFitness Pal, Runkeeper) fitness tracking connectivity. Thanks for your article here, I really enjoyed reading it. I’m also a Strava user, and was wondering if you could confirm that, when it syncs a workout to Strava, the heart rate information gets transfers with it? From what I’ve read, there seems to be a lot of conflicting information regarding this. I presently have a Fitbit Charge HR which I like, but I haven’t worked out a way to get the HR information out of it and into Strava (it seems you need the Surge for that). If this is possible with the Band 2, I think I could be sold! Hi Bryan. Yep, the heart rate info synchs with Strava. This includes HR every few seconds during the run, and average HR. The band has a more damped history, measuring a lower BPM (164 vs 172), and a more stepped view. Presumably my peak BPM lasted for less than a minute, so got averaged out. Speed/distance is pretty much in sync; that’s the GPS data. To summarise: chest HRM bands appear to be more sensitive, either in the hardware sensors or in the software. Note also the battery life of the band is less, 2-3 max; on a phone I’d expect 5-6, garmin 6-8. I wouldn’t use it on a long day, while for a mountain bike I’d remove it to stop it being destroyed on my first crash. It’s great for shorter rides and round town though. Great analysis and thanks for the data. It does appear that the chest transmitter, from your data, is a lot more sensitive and its data is less damped. I was particularly interested in the average HR data. It appears that the Microsoft Band 1 gives a high average reading (152 BPM vs. 136 for the Garmin) which is something I’ve suspected from my workouts, based off of perceived exertion. But at least as far as I can tell, the HR readings are consistent and in the ballpark. A lot more comfortable and convenient than having to wear a chest transmitter too. Regarding the Band 1’s battery life, I could usually get over 4 hours of using GPS after a full charge if I kept the screen off. Other people have said up to 5 hours. The Band 2 seems to have quite a bit more battery life but I can’t say for sure how much more since my workouts have not been more than a couple hours since getting it. My guess, based off interpolation, would be 5-6 with the screen off. I’m still really liking the Band 2!